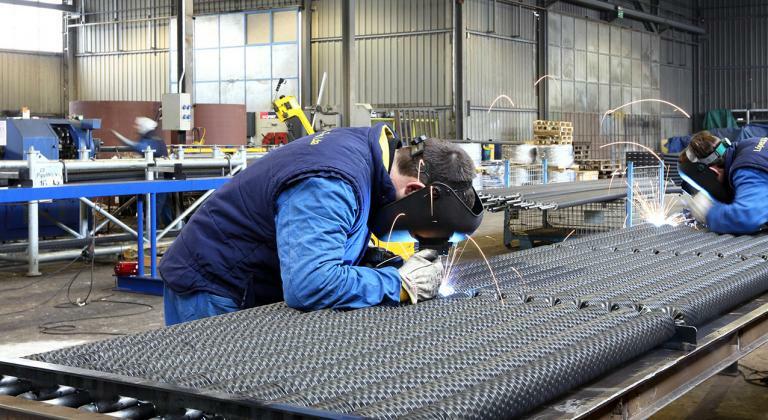 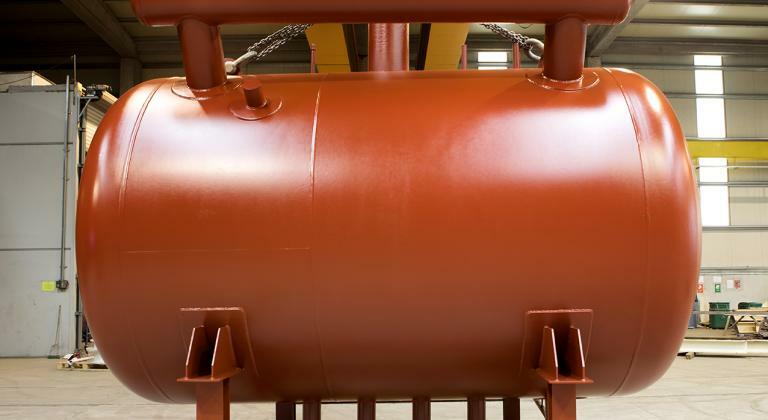 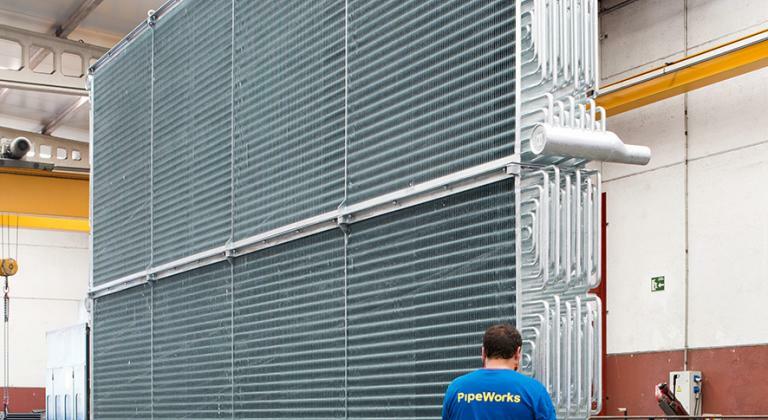 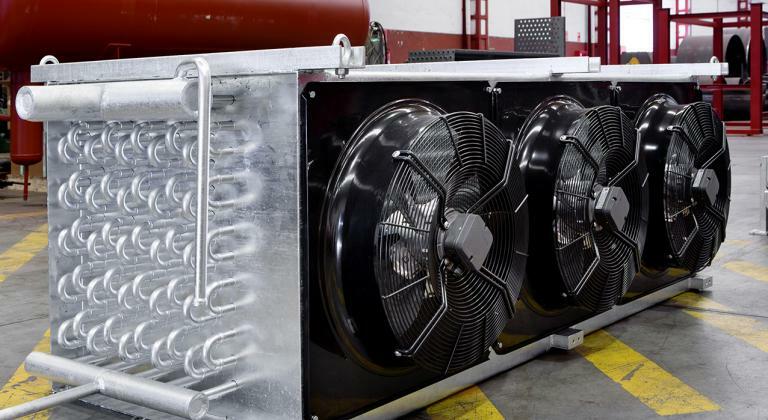 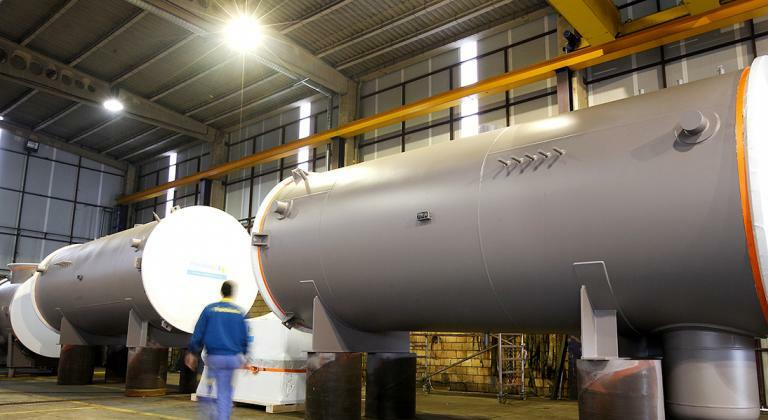 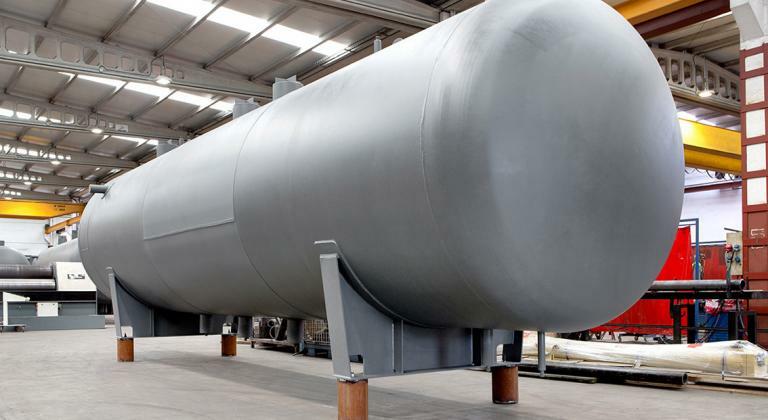 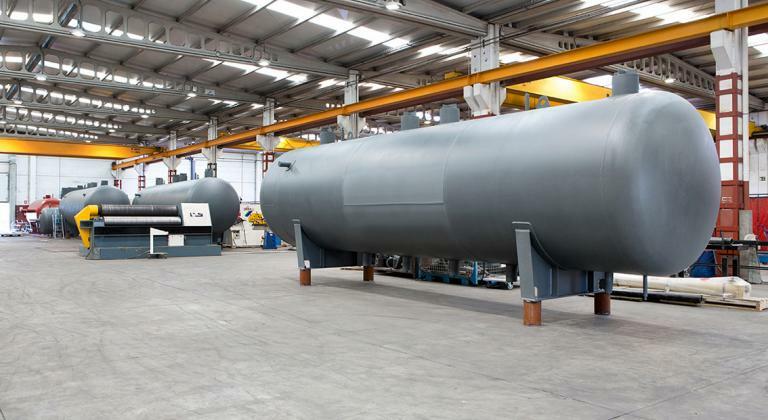 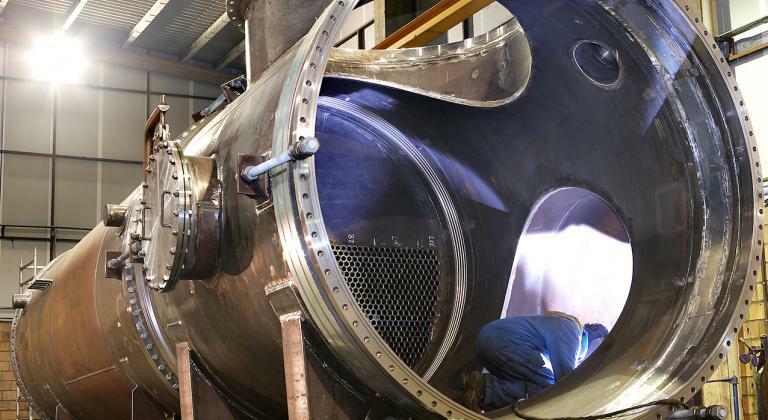 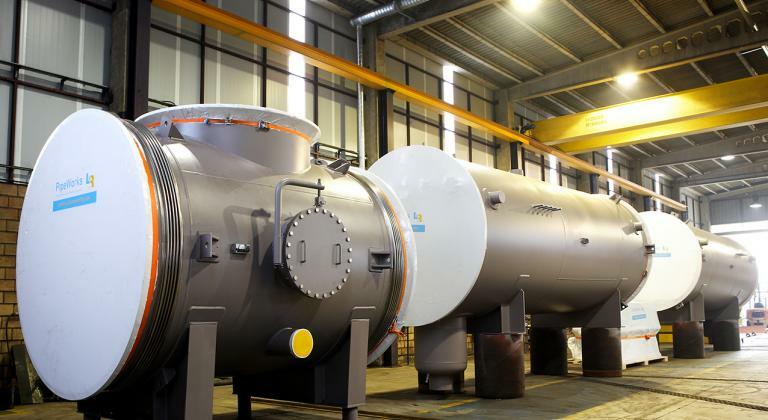 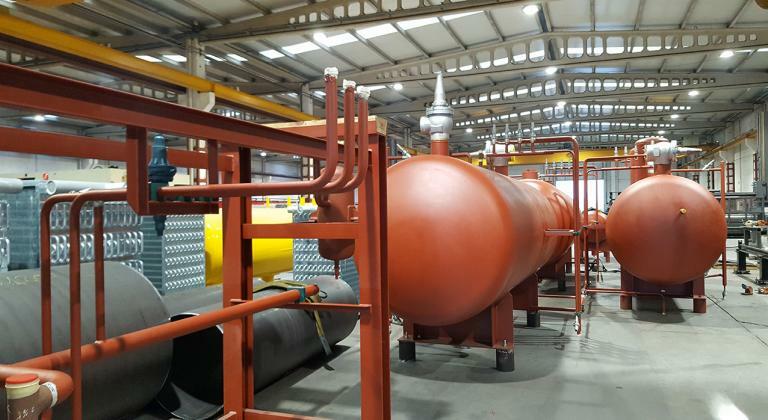 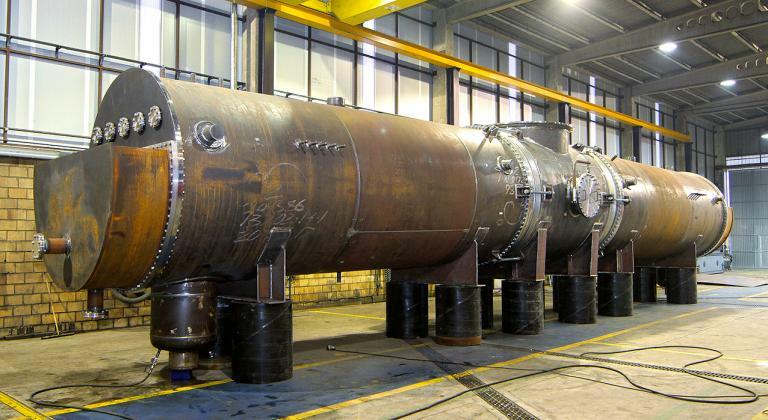 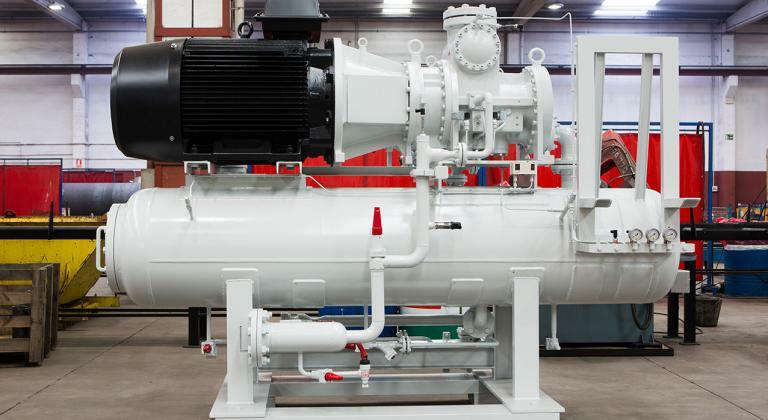 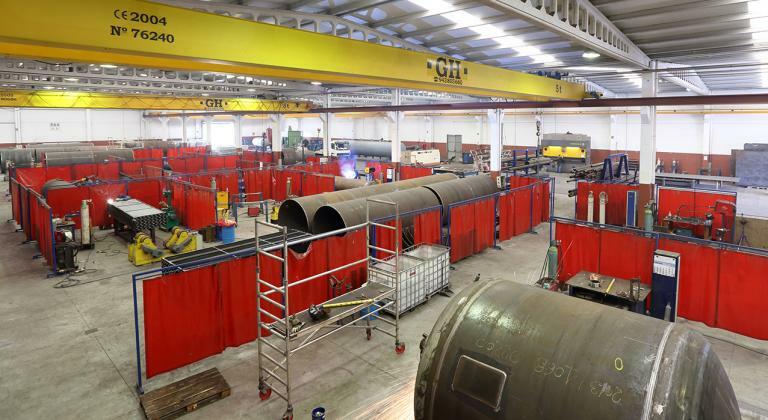 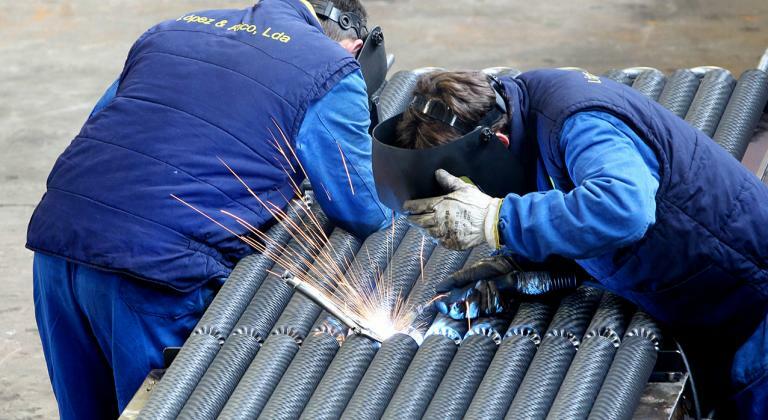 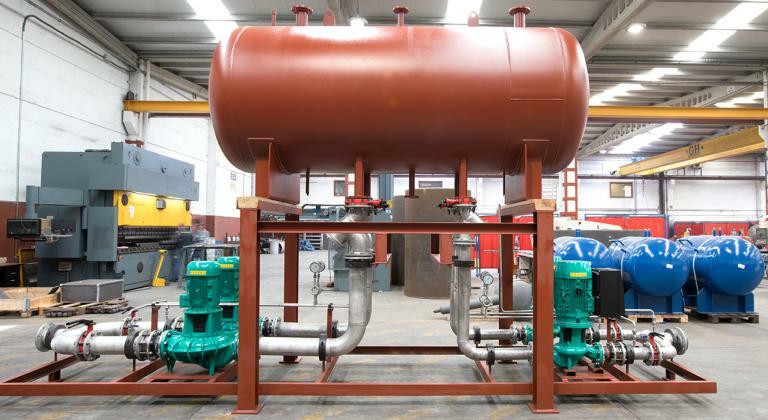 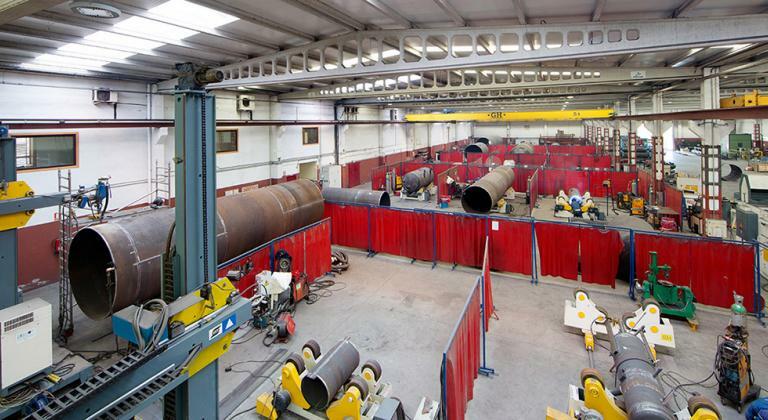 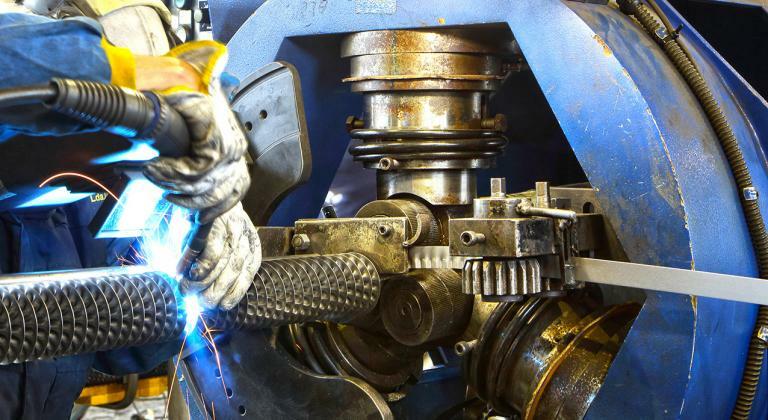 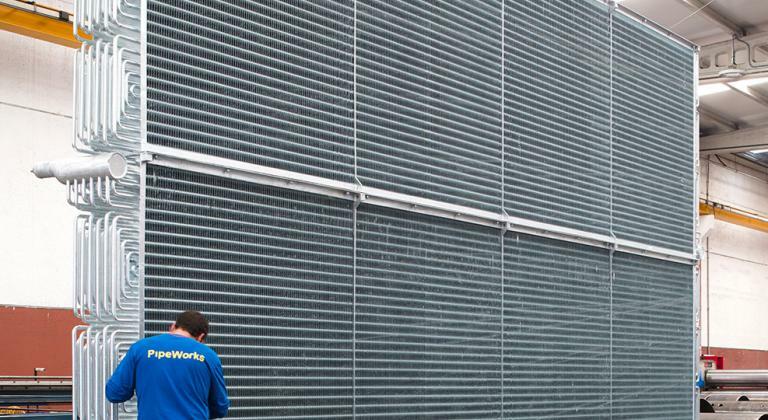 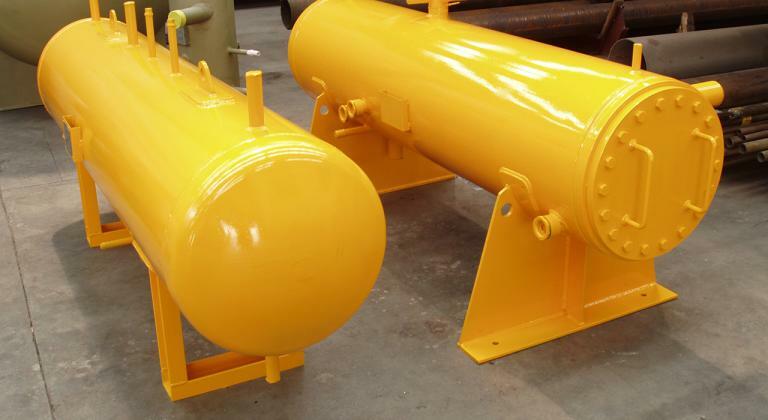 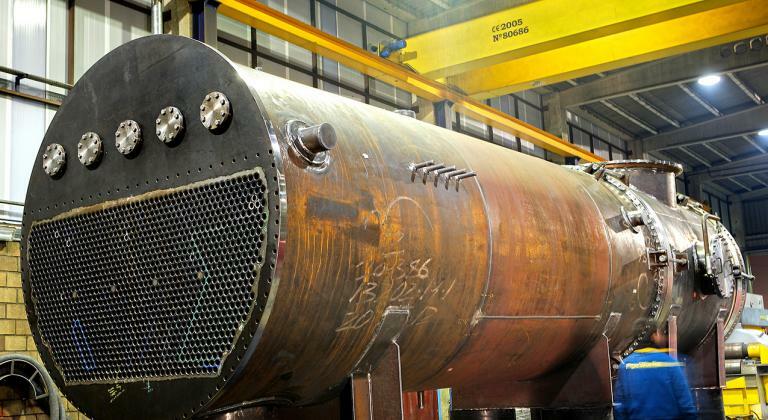 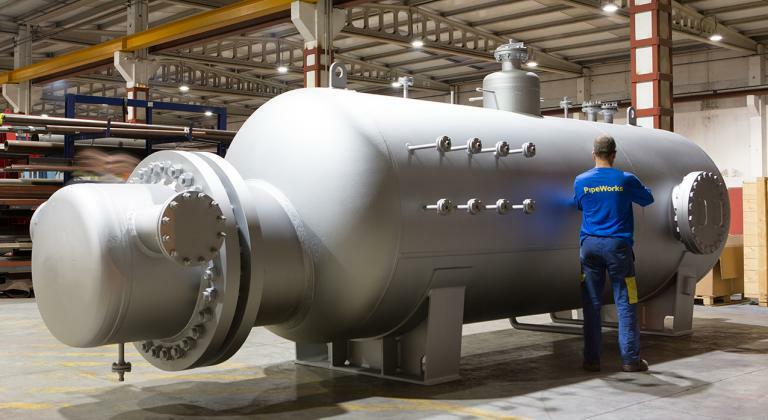 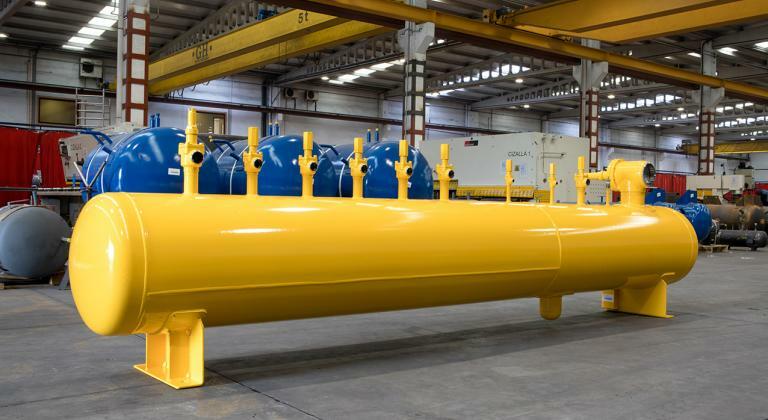 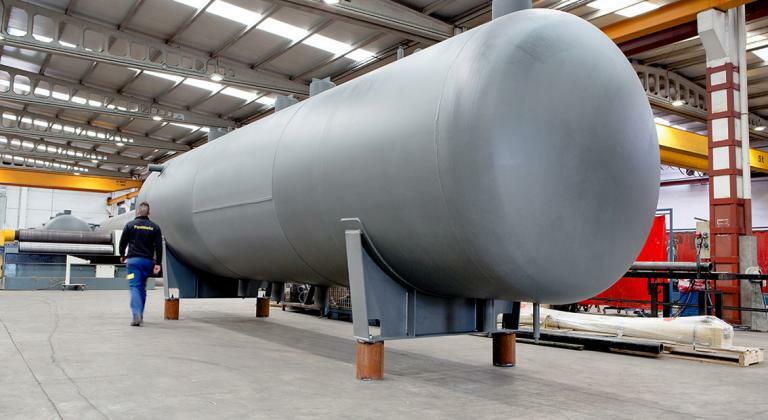 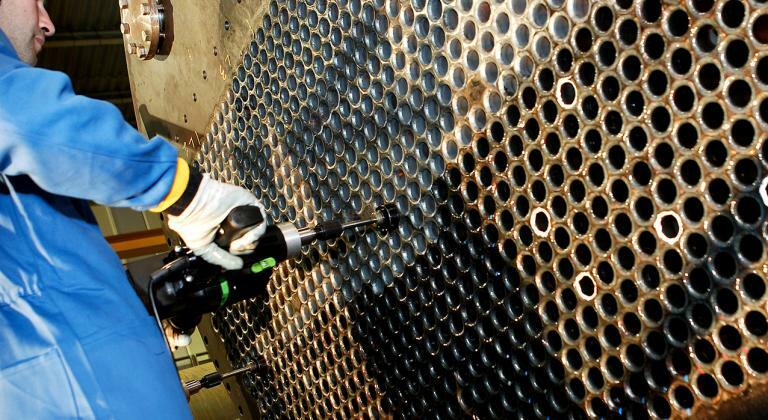 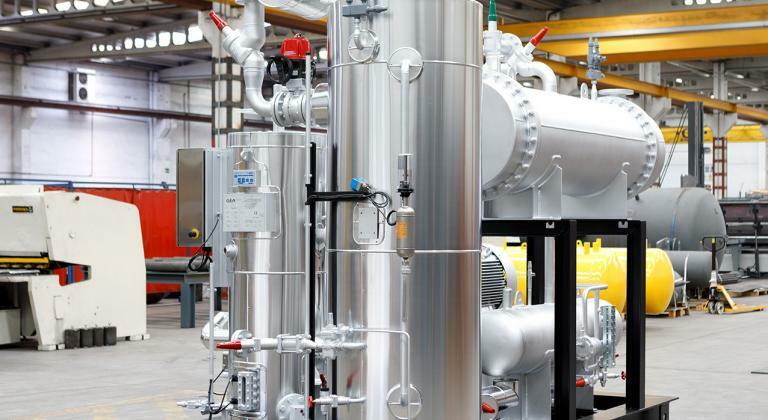 PipeWorks is a manufacturing-repairing company of pressure vessels, boilers, evaporators, coils and heat exchangers. 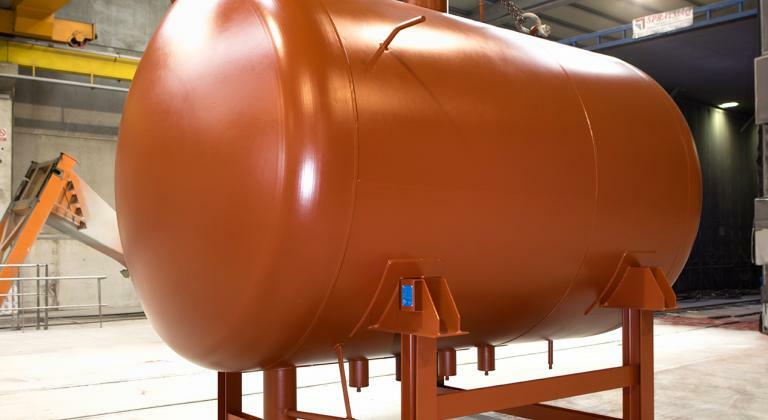 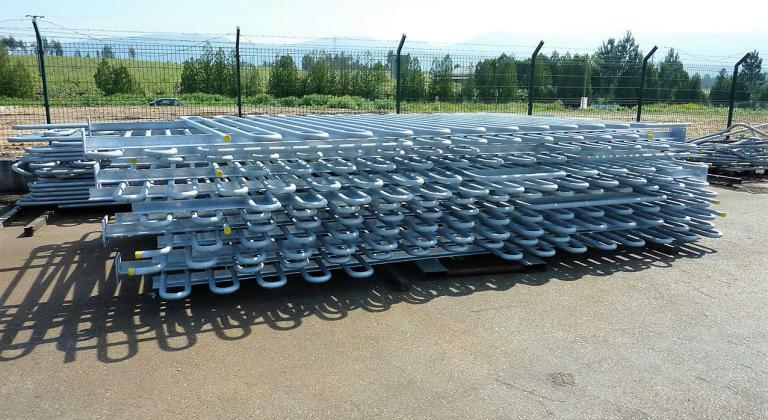 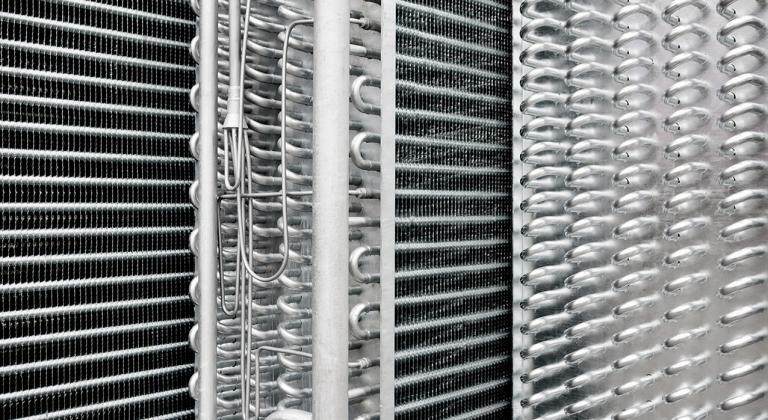 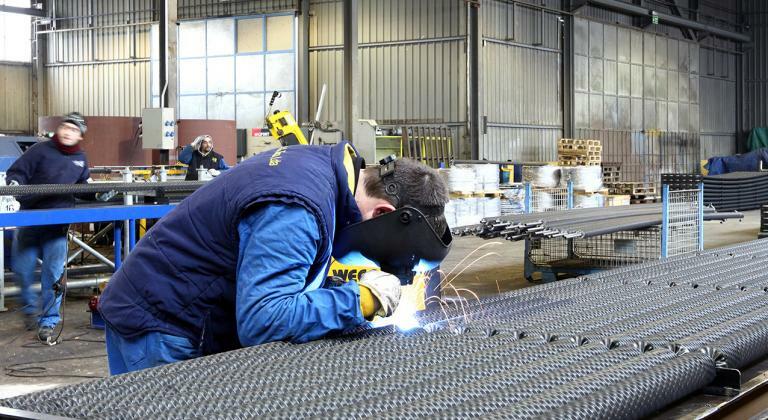 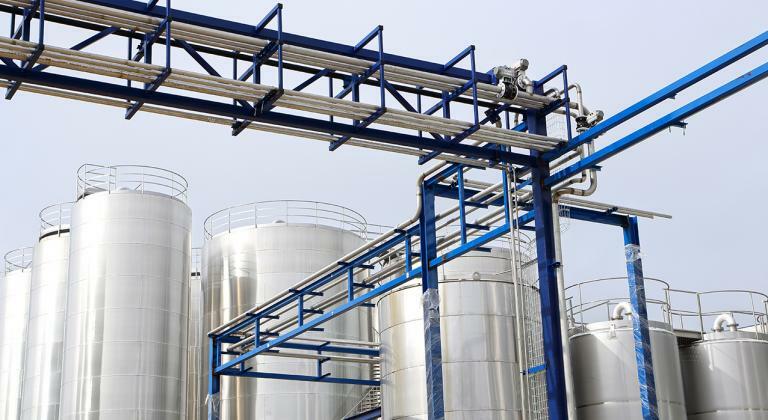 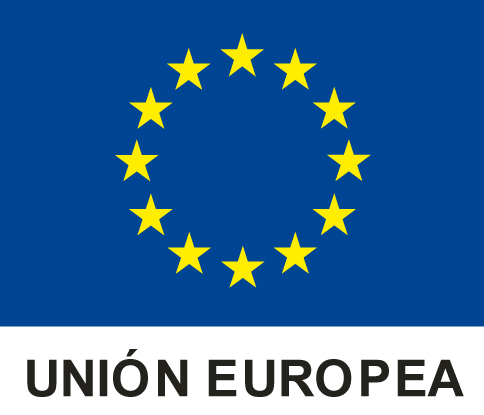 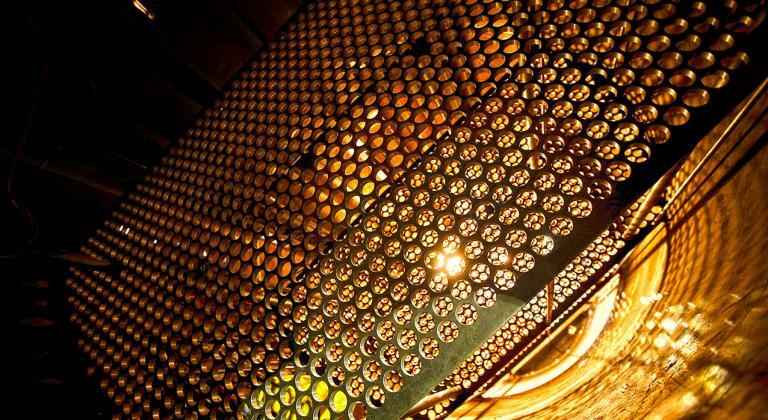 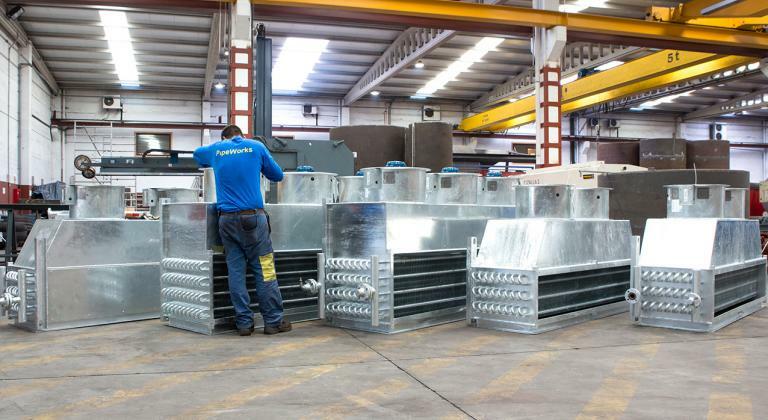 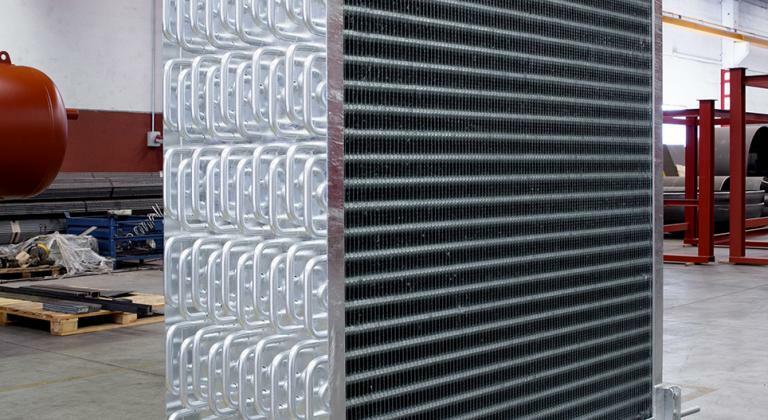 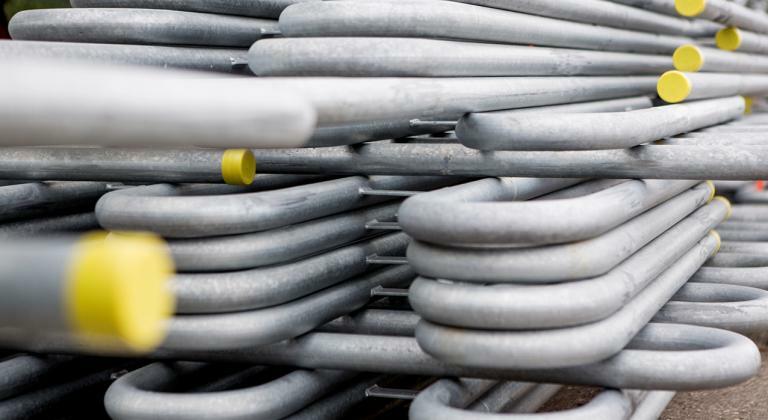 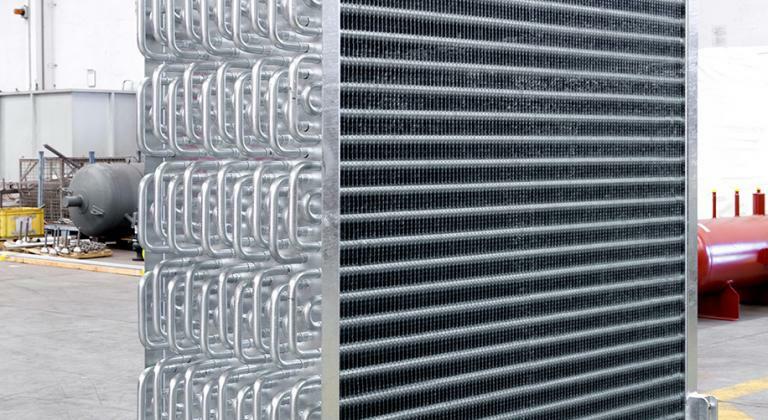 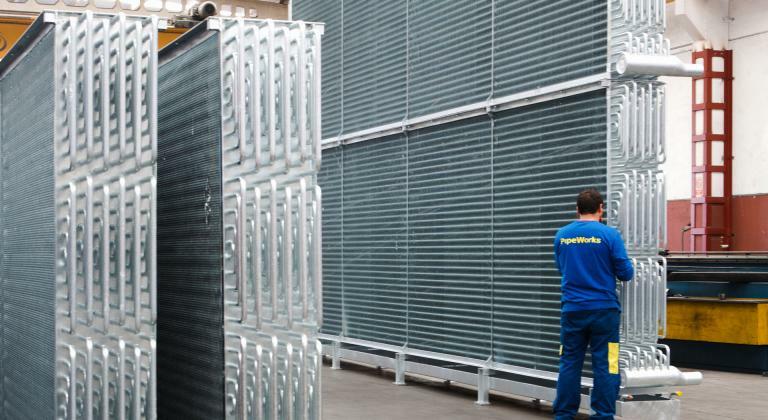 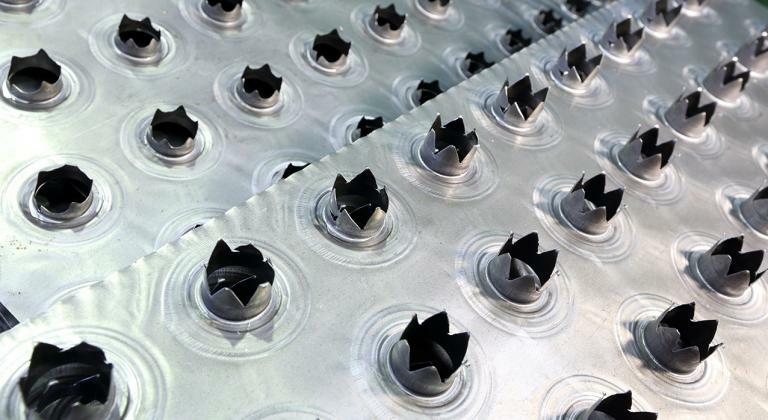 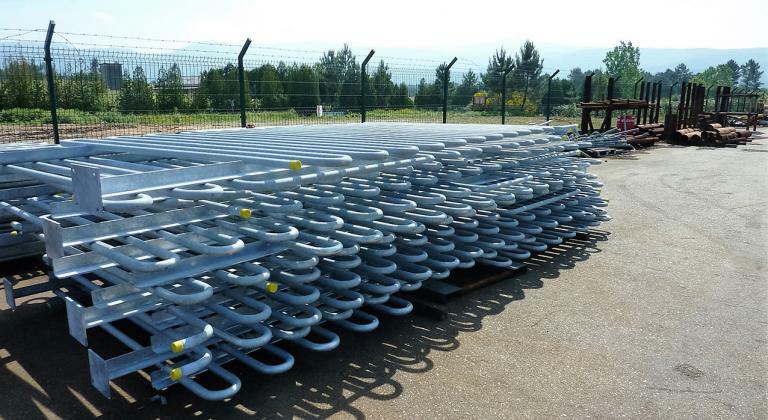 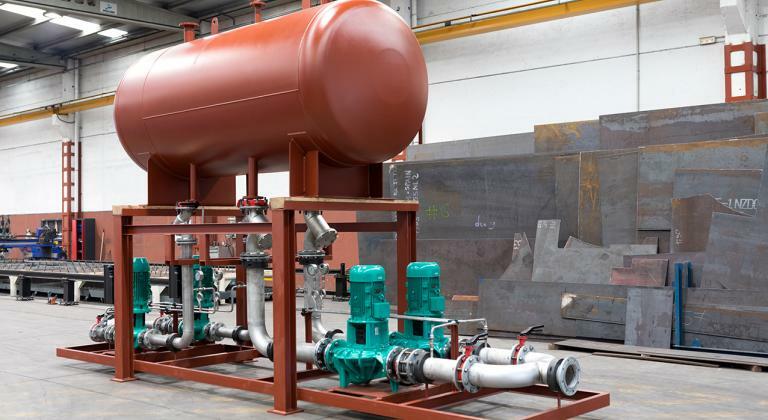 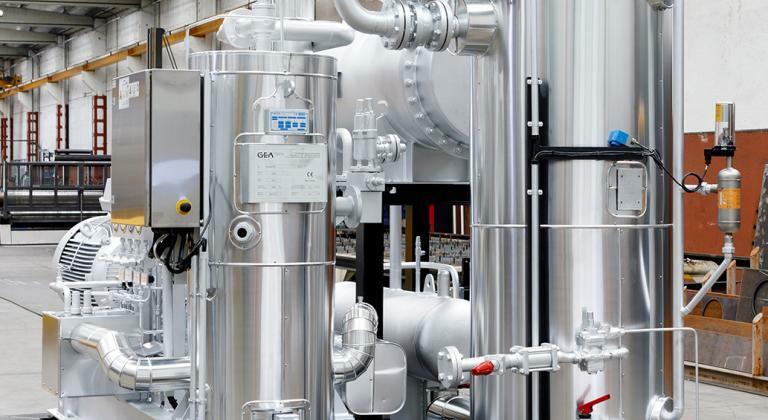 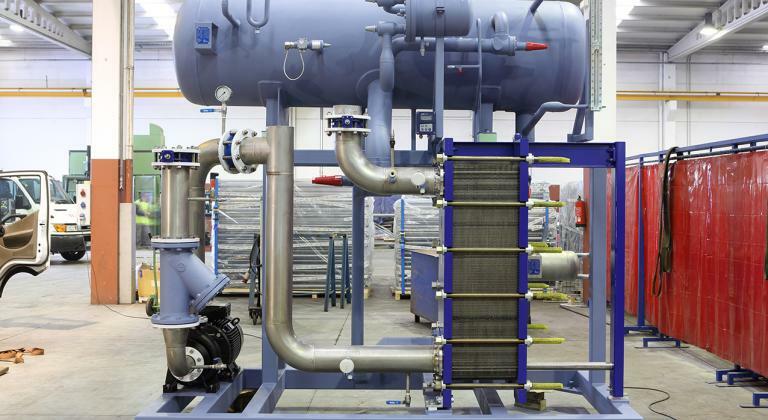 Equipments for cooling gases (Freon, Ammonia (NH3), CO2 , Brine, Glycol), are made with special plates for low and high working temperatures according to the directive 2014/68/EU concerning pressure vessels and applying them the design codes AD-MERKBLATTER, ASME, EN13445, PD 5500 as well as the rules of the different classification societies. 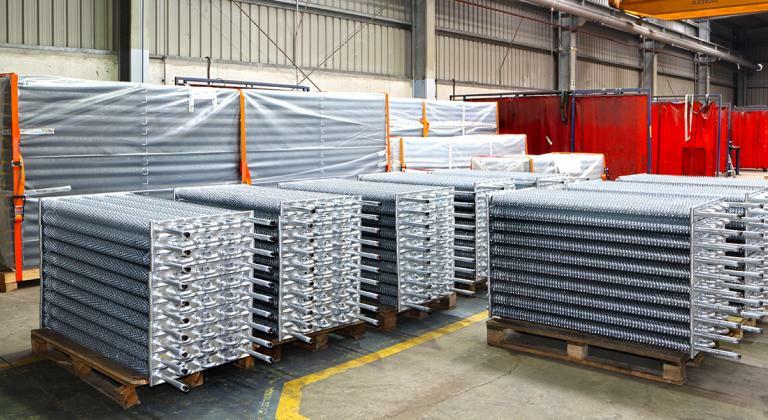 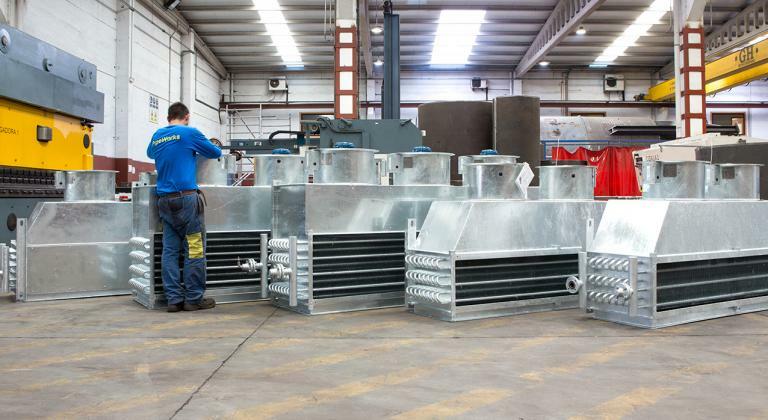 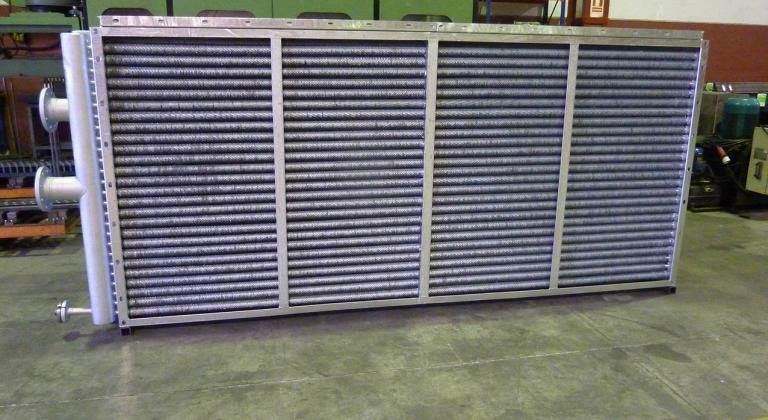 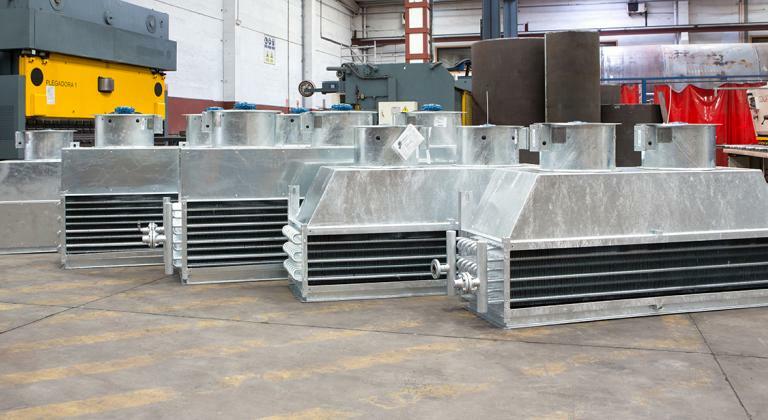 Manufacturing of flat-fin evaporators, with spacing between fins from 4 to 20 mm, in the following geometries: 60x60 (EV6) equilateral triangle shape and 70x70 (EV7) right angle shape, galvanized carbon steel and stainless steel, with 21.3 mm (1/2”) pipe intended for freezing tunnels, cold rooms with temperatures from -60º to +10º provided with defrost trays, plenum and blowers. 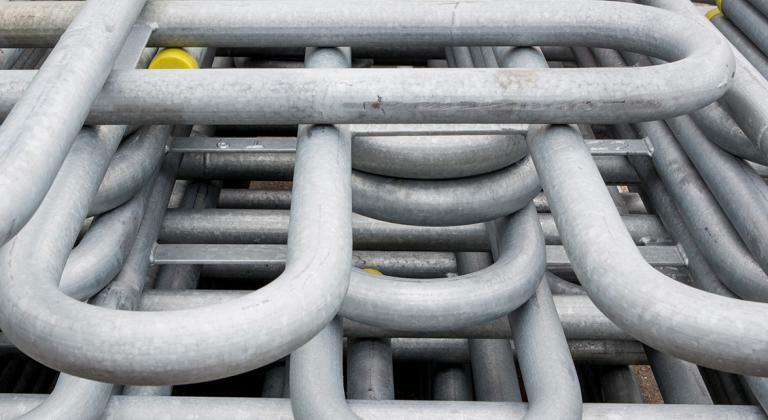 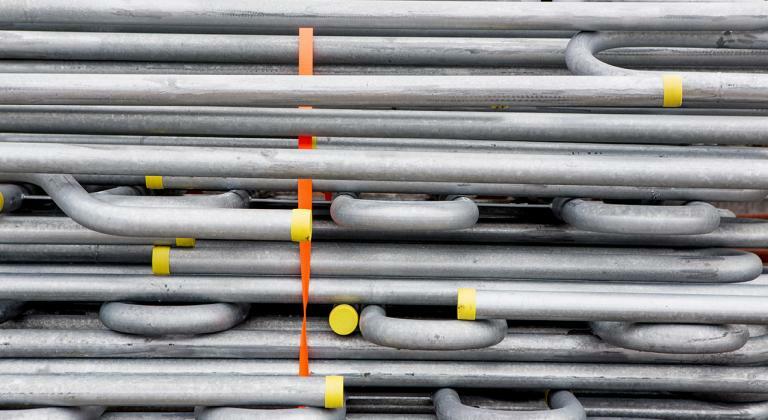 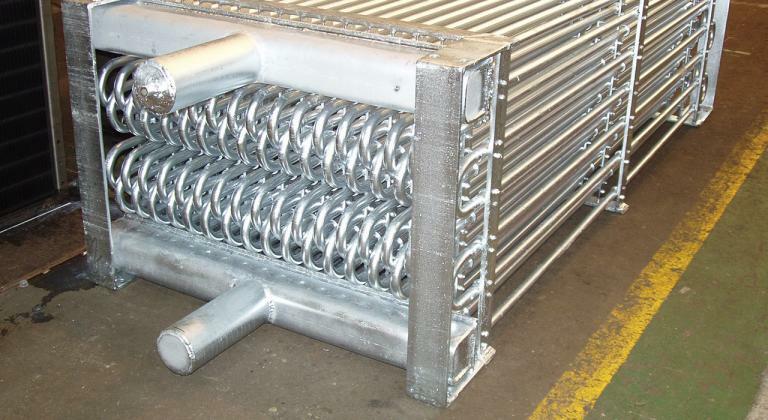 Coils and bank of smooth pipe coils. 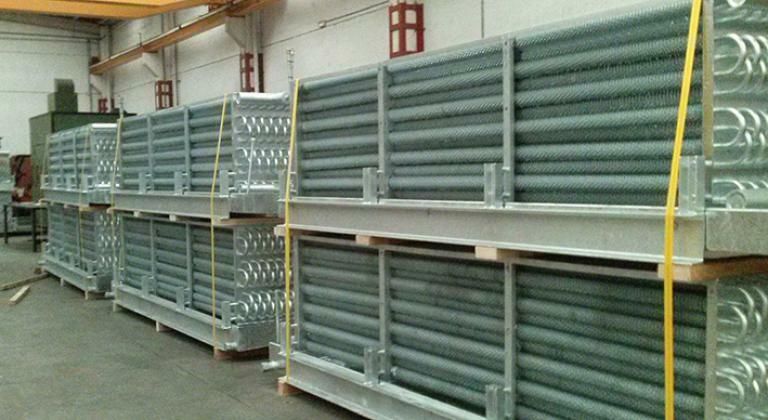 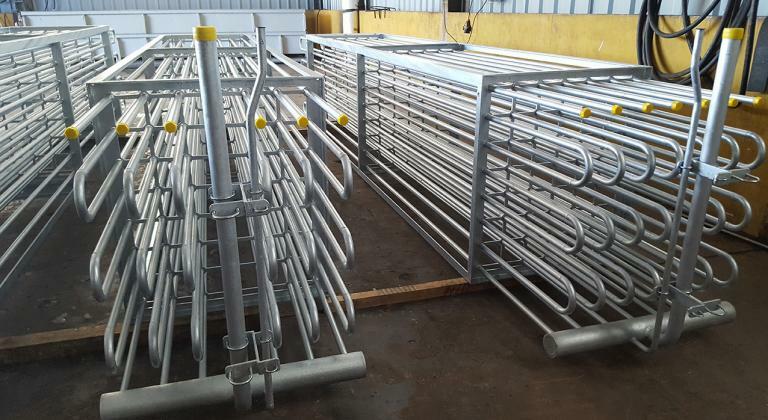 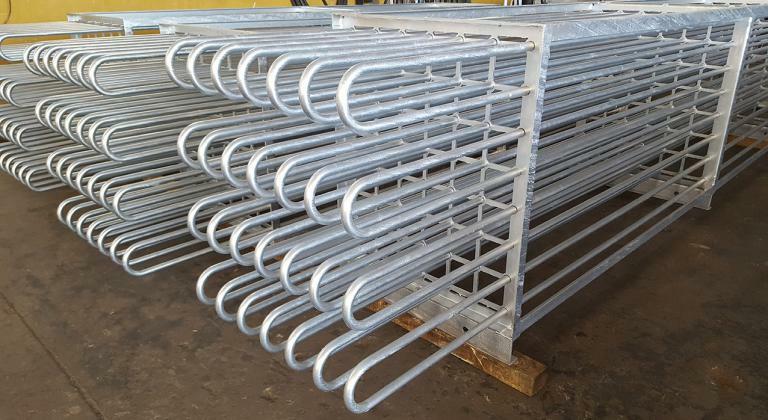 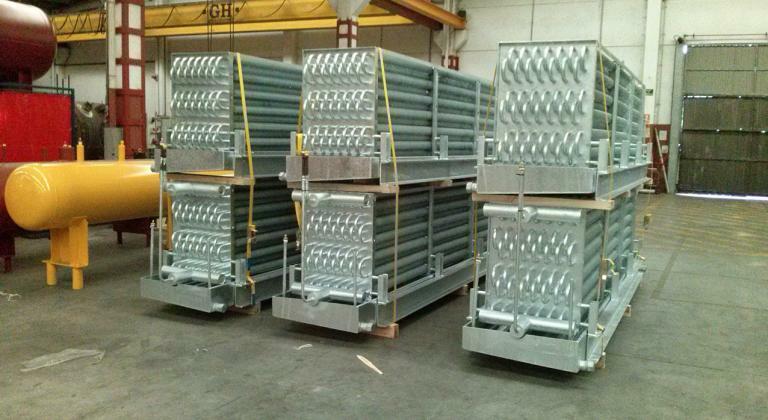 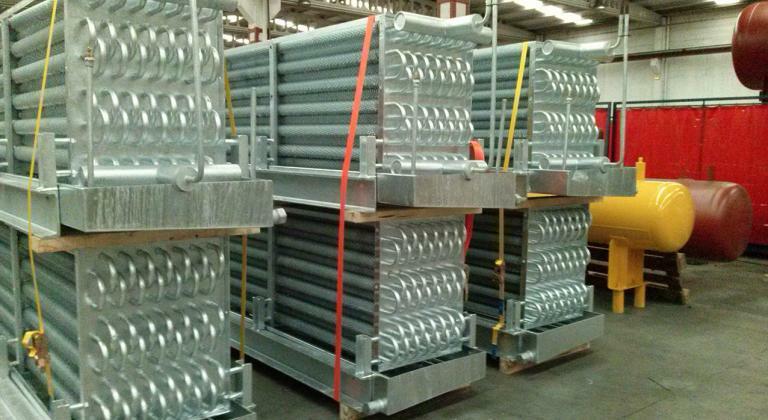 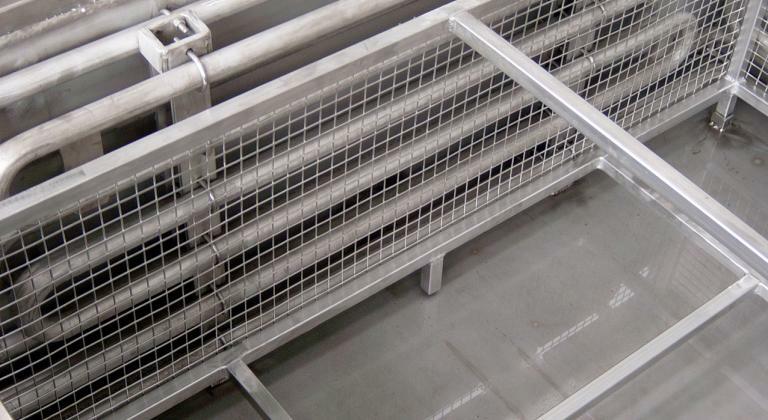 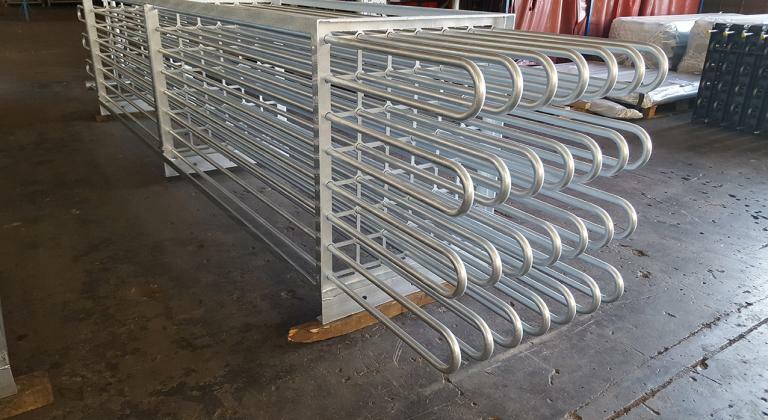 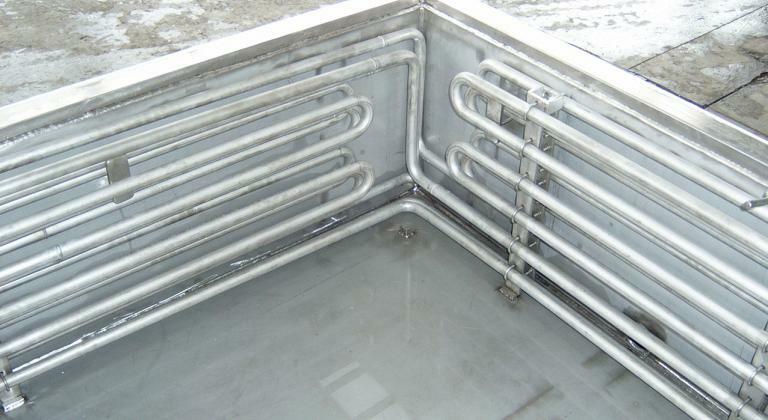 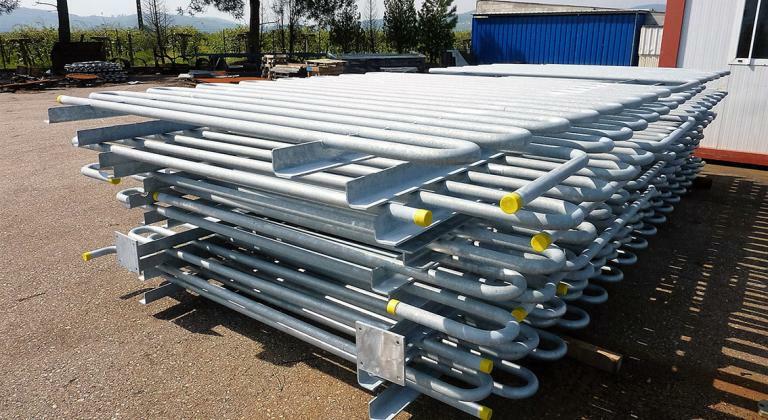 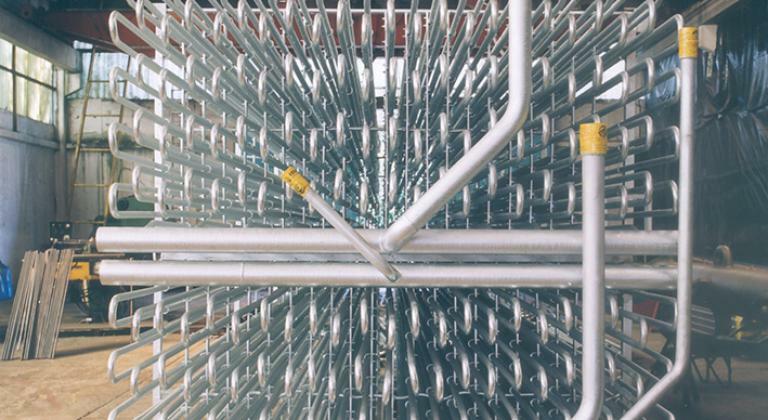 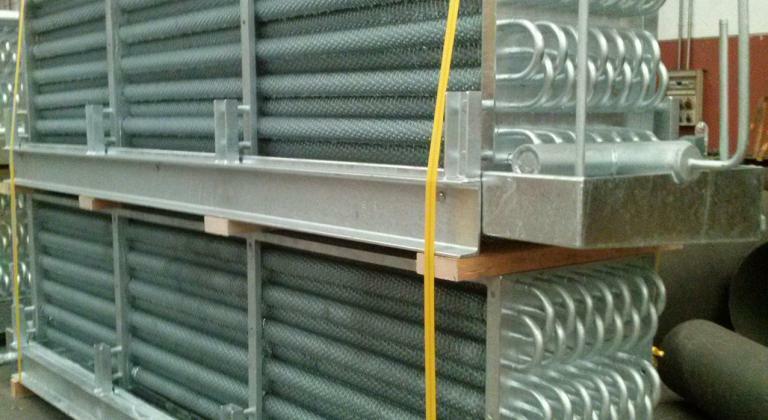 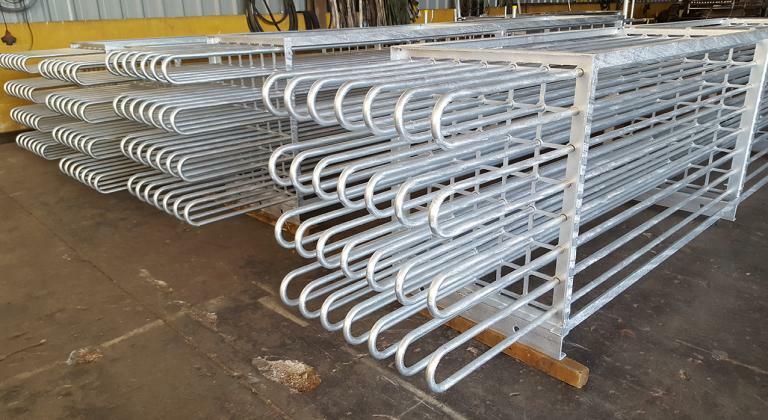 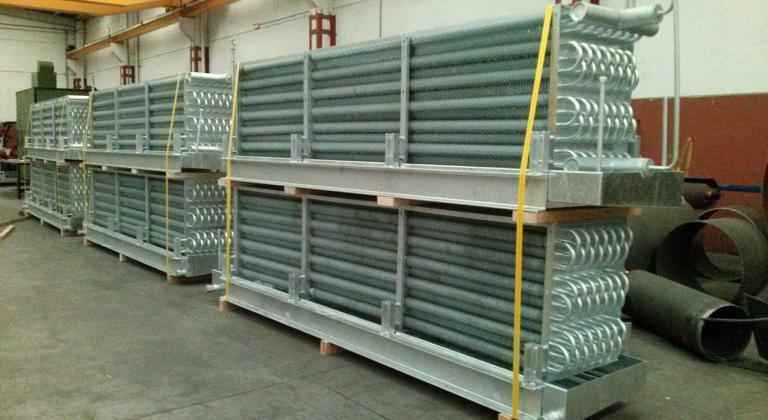 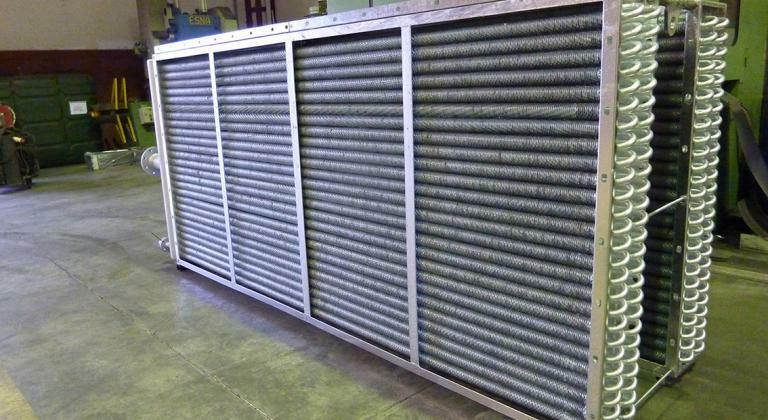 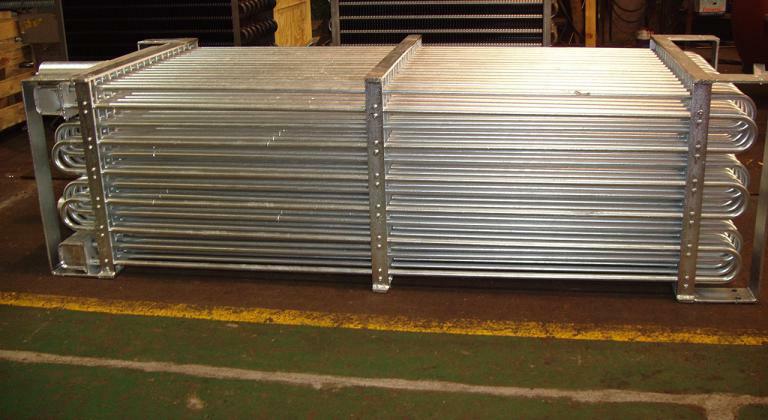 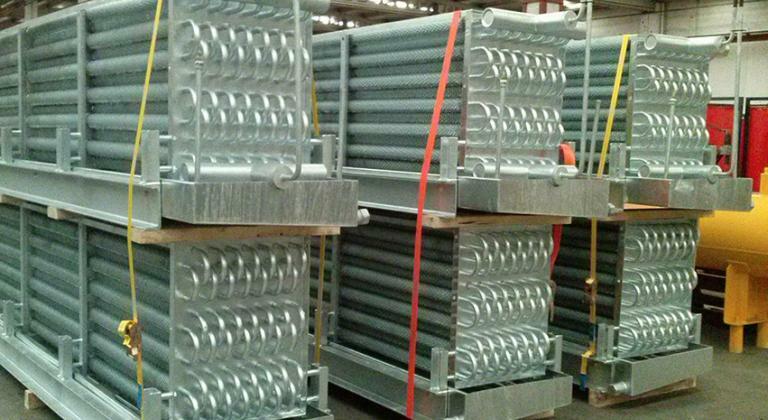 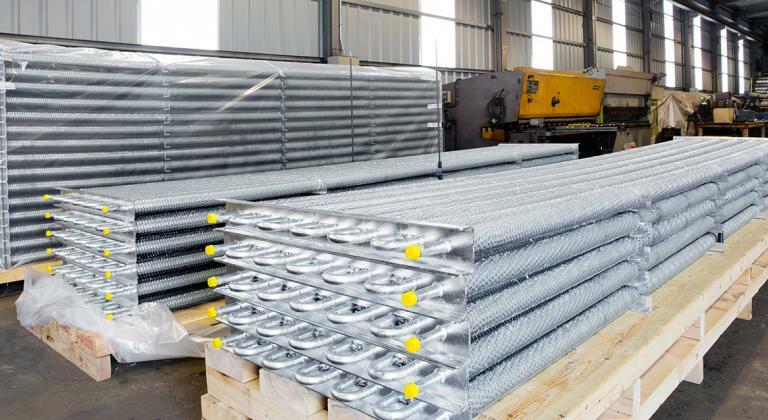 Manufactured in carbon steel pipe, galvanized, stainless steel, cupronickel for cooling and heating. 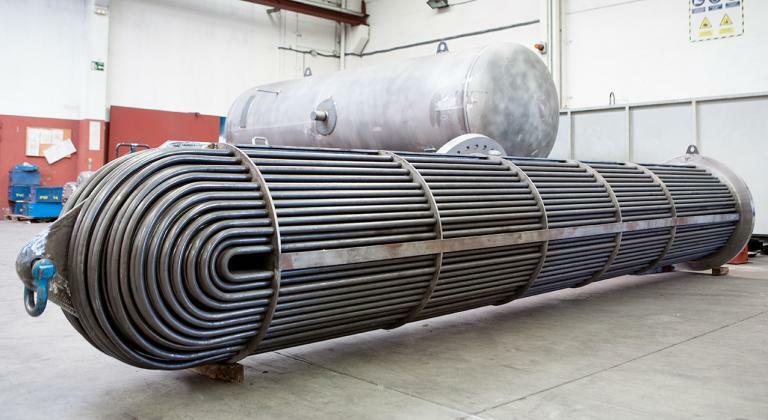 Finned coils, finned coil bank and finned pipes. 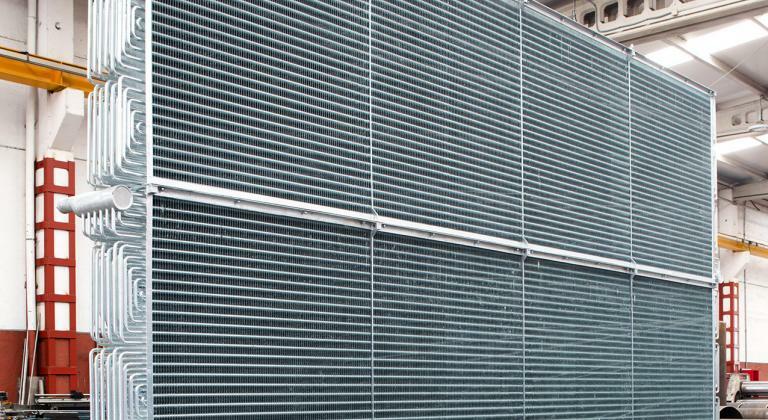 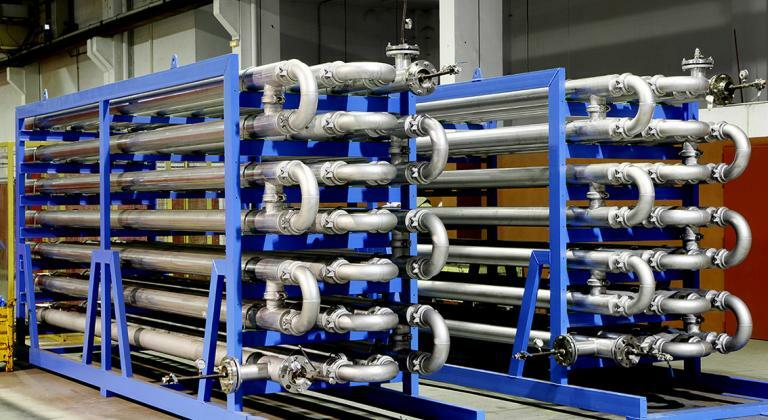 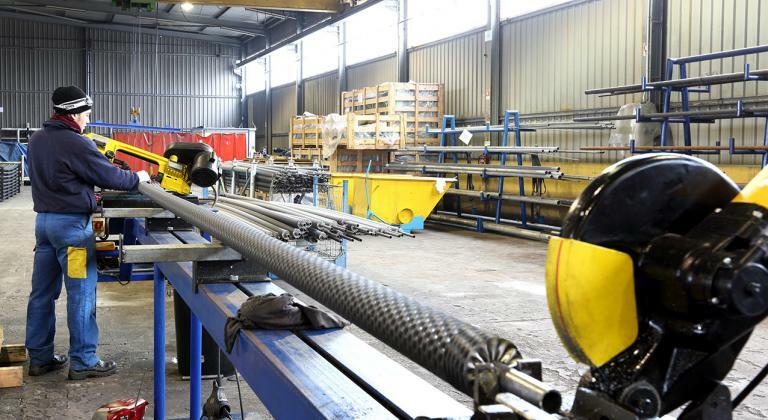 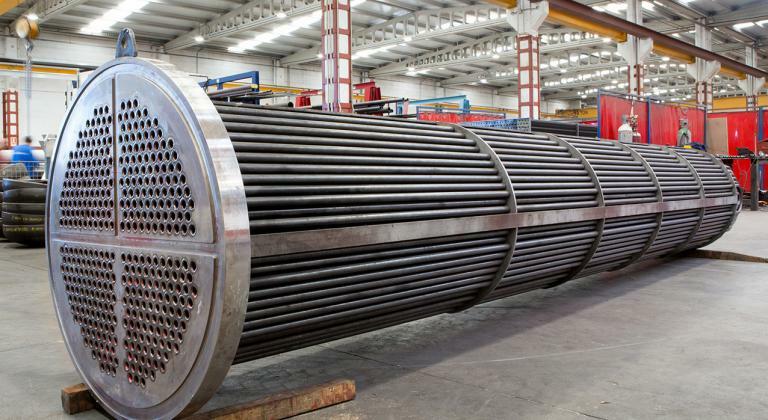 It is with special machines that we manufacture finned pipes with corrugated helical fin, semi-smooth, smooth and in L-shape, in carbon steel, galvanized, stainless steel, cupronickel materials for cooling, heating and heat exchangers . 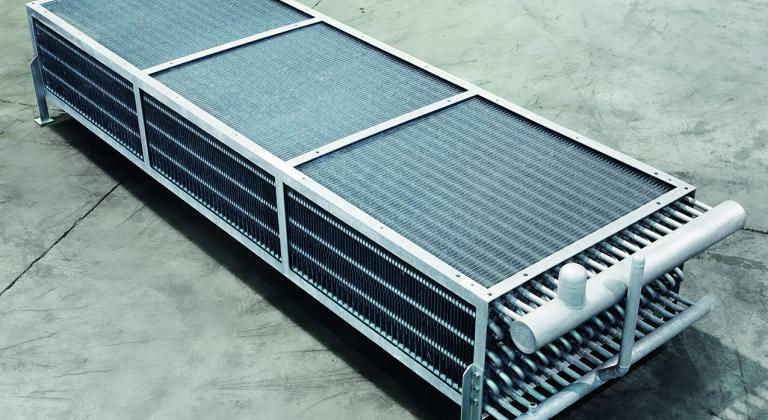 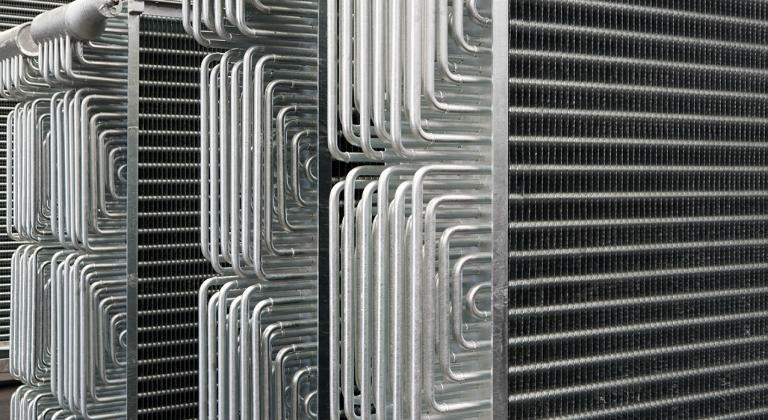 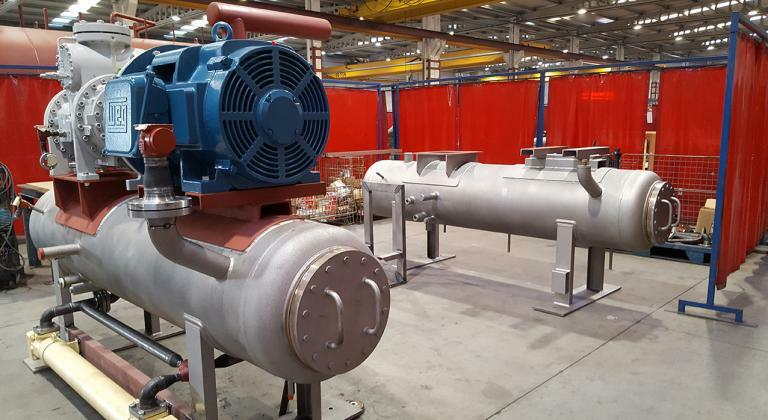 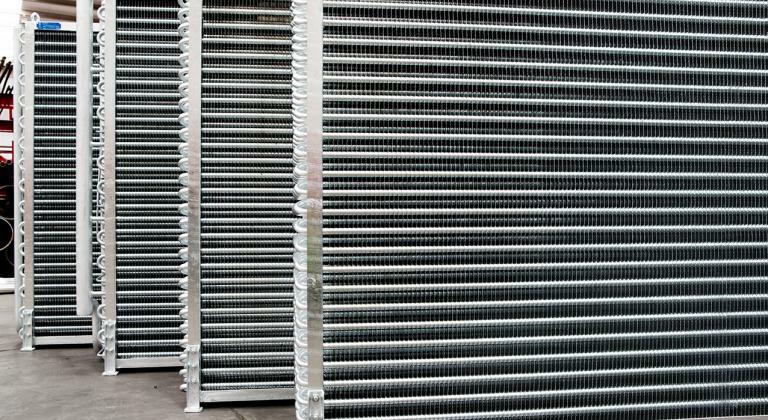 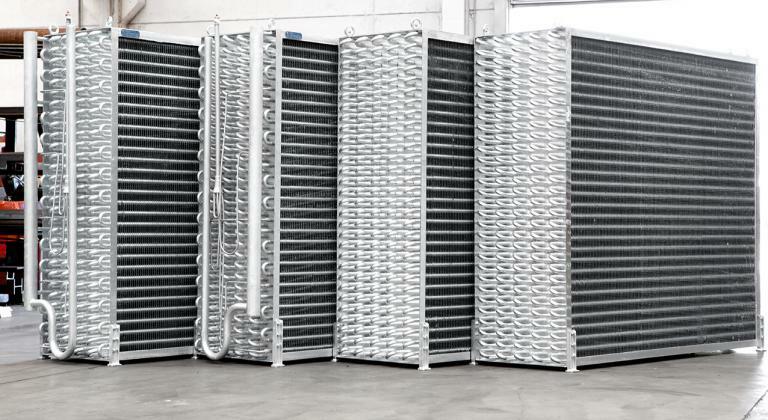 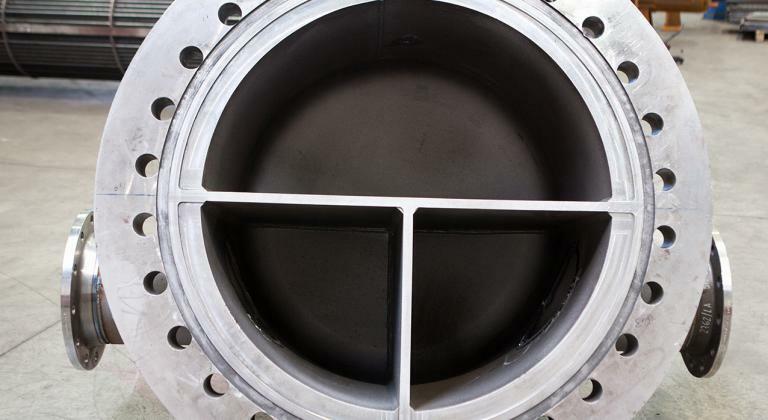 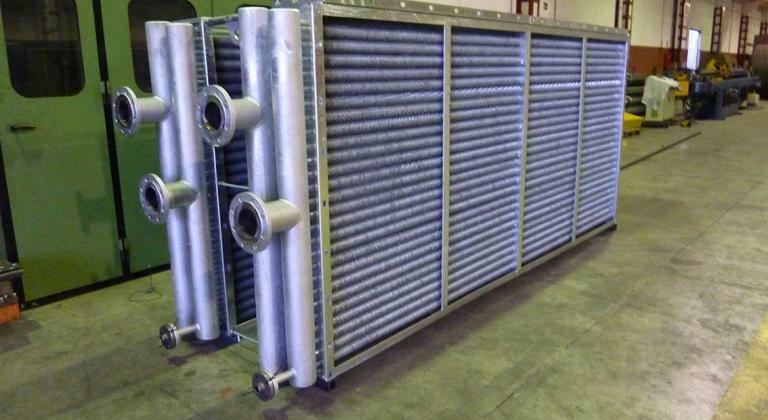 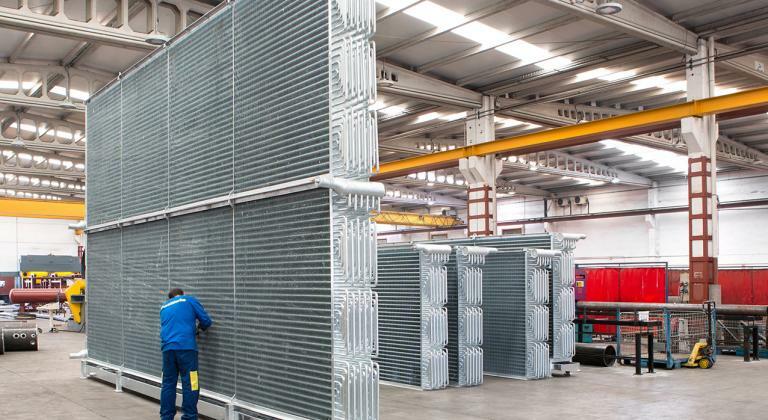 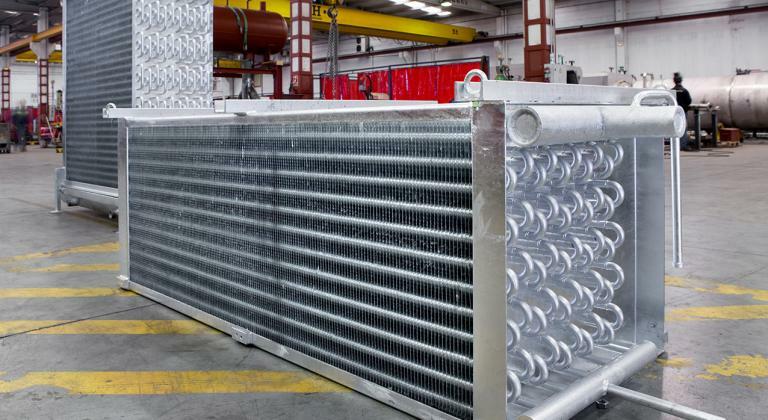 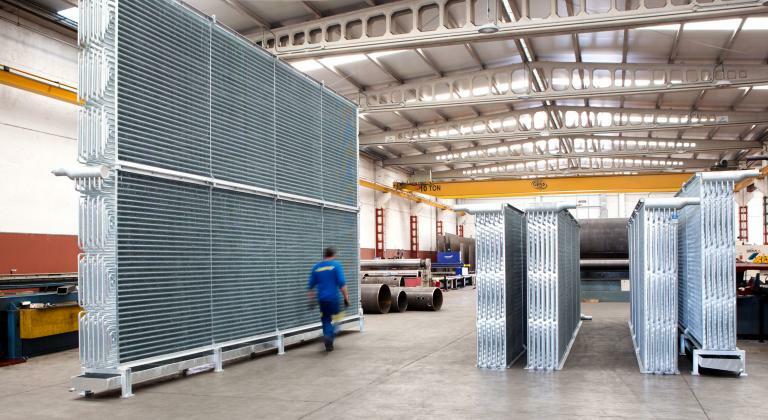 Manufacturing of multitubular heat exchangers intended for different services, in carbon steel, stainless steel and cupronickel. 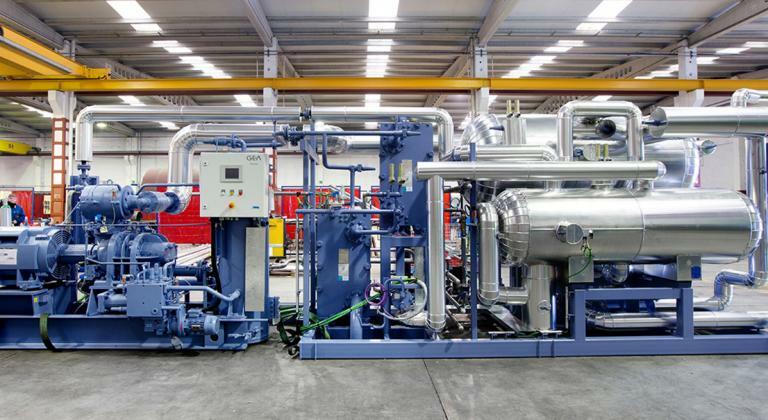 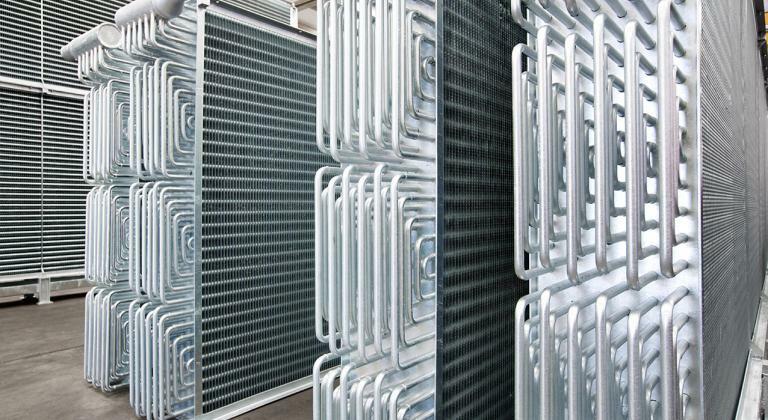 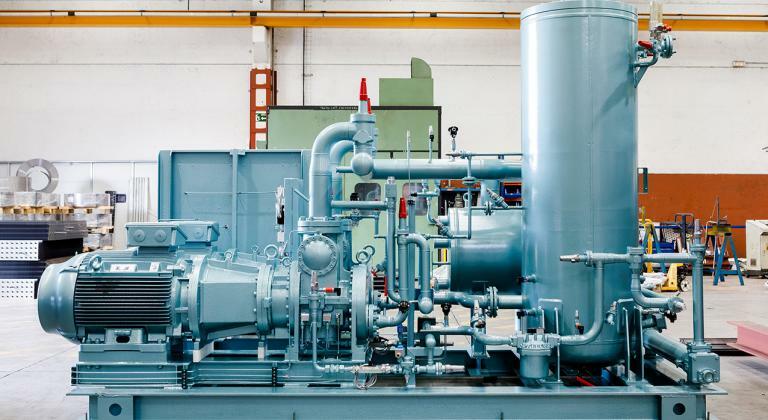 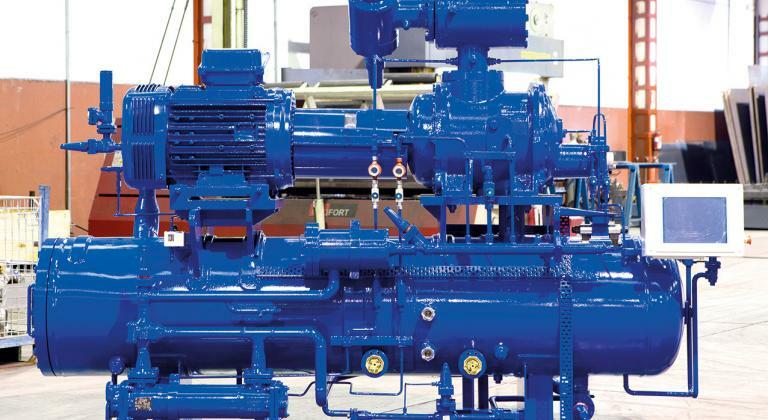 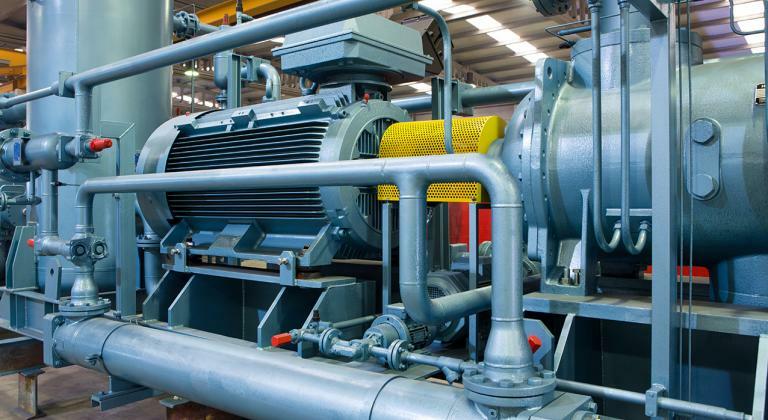 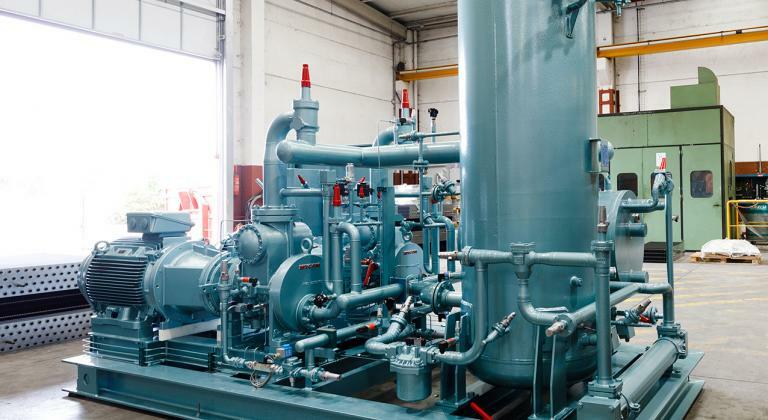 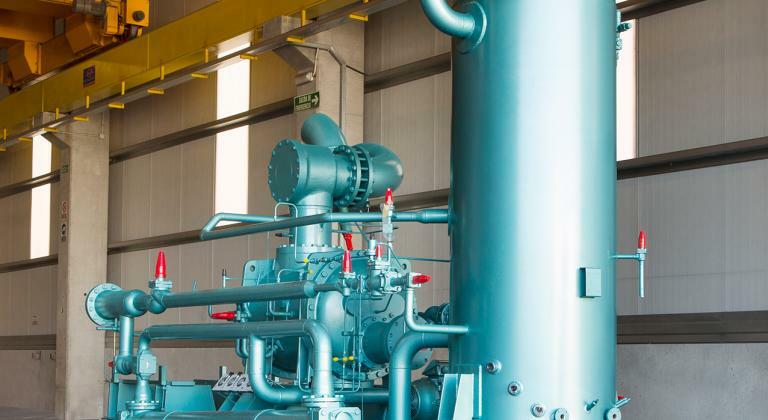 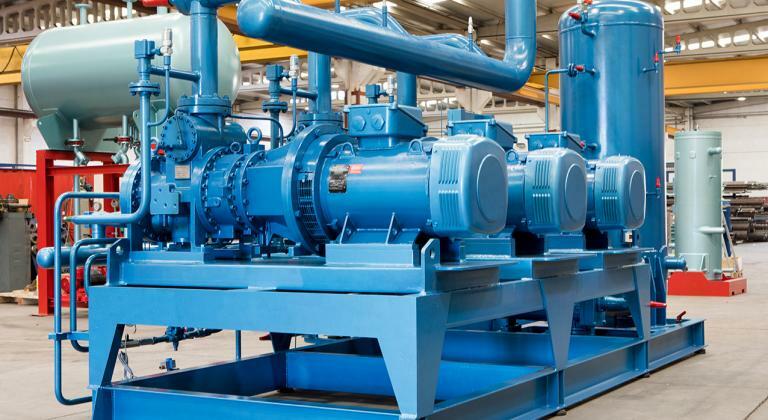 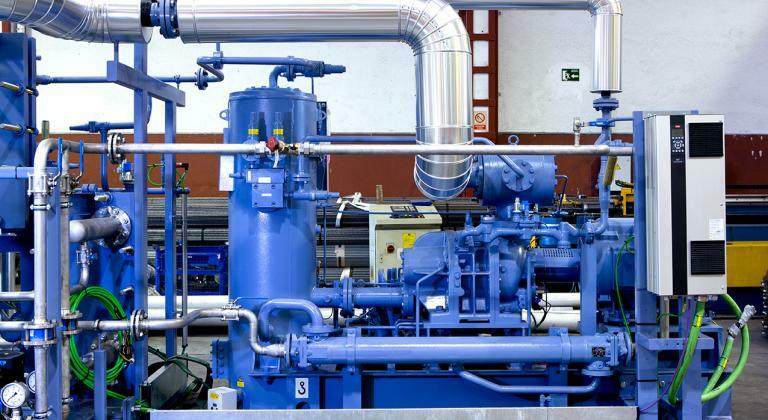 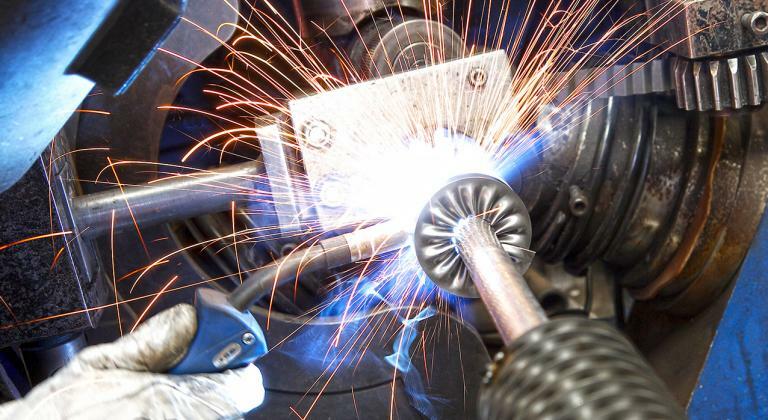 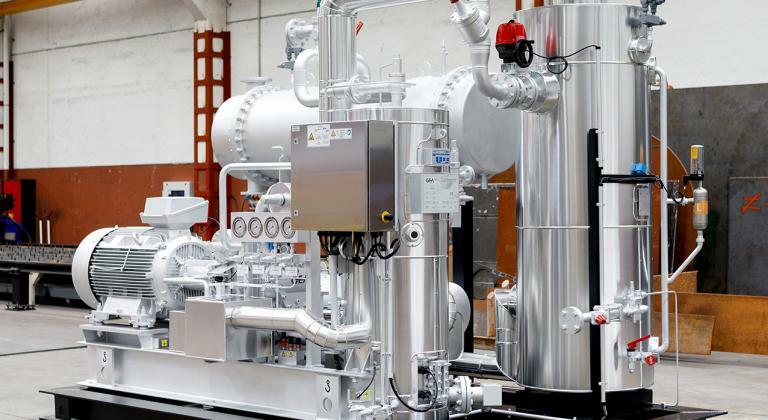 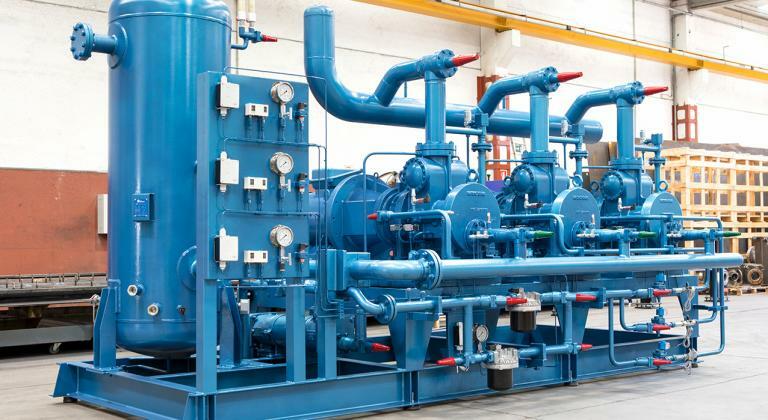 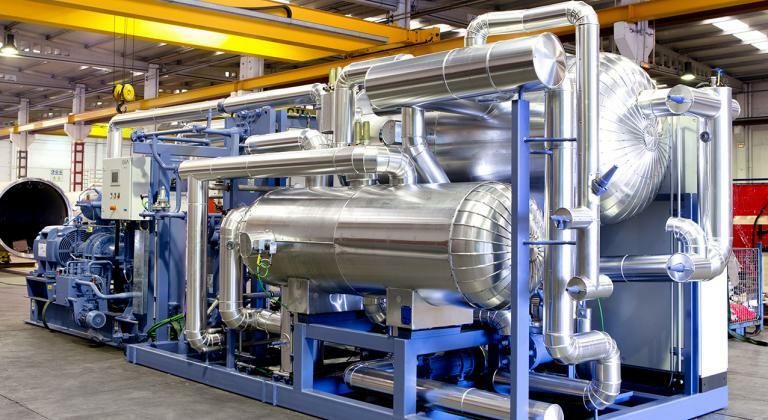 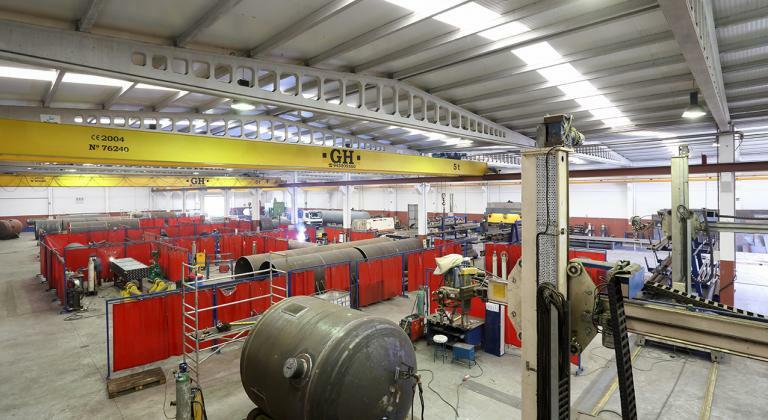 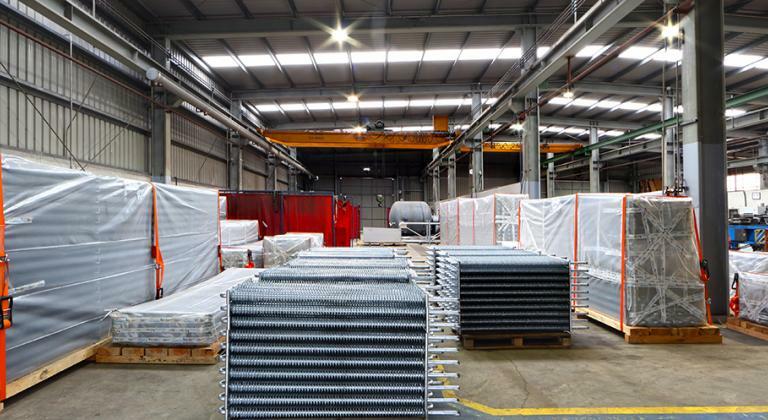 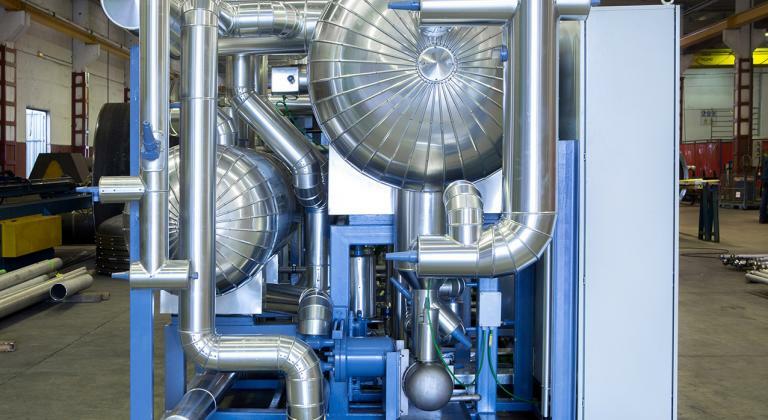 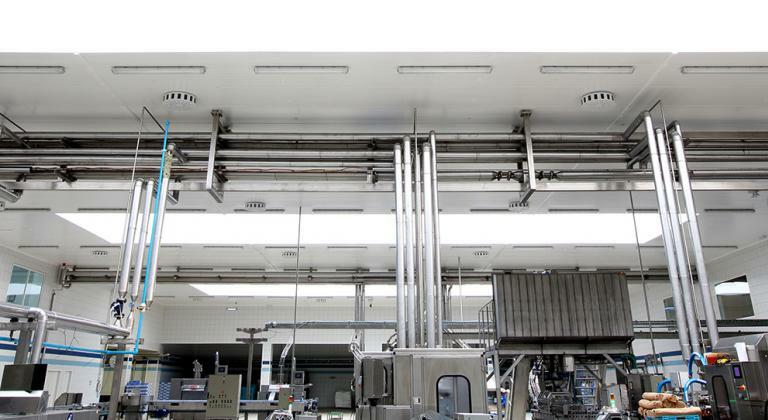 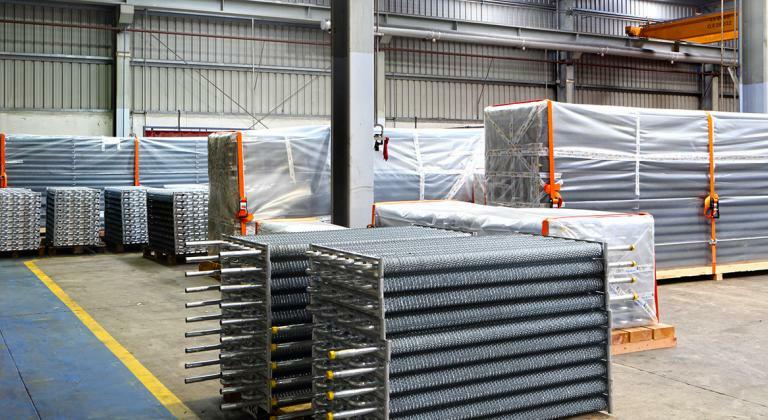 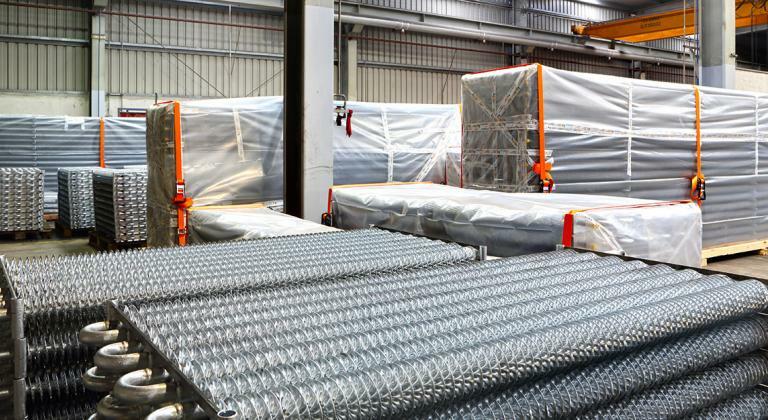 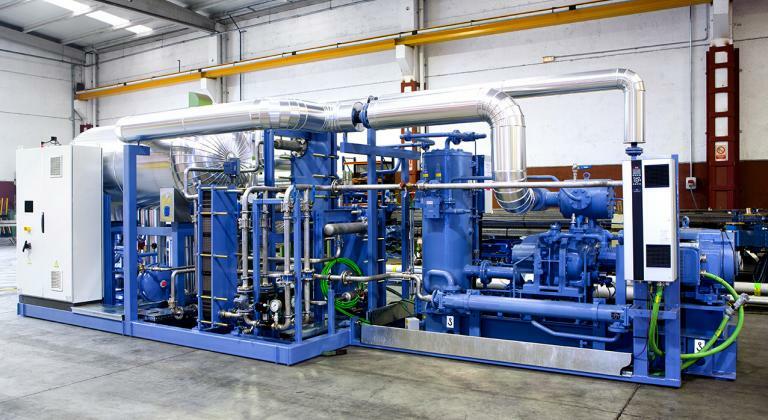 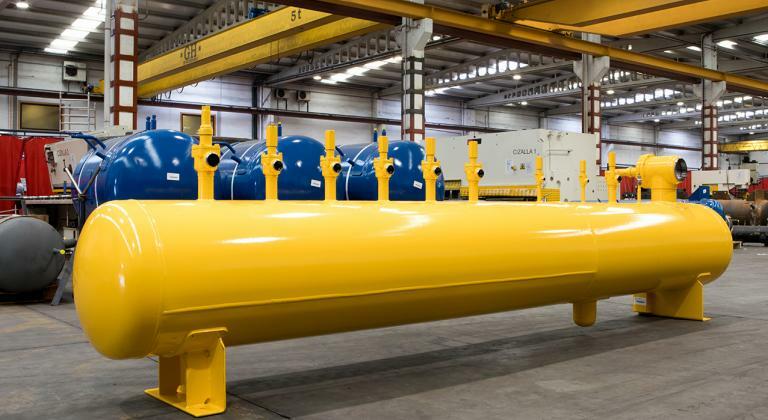 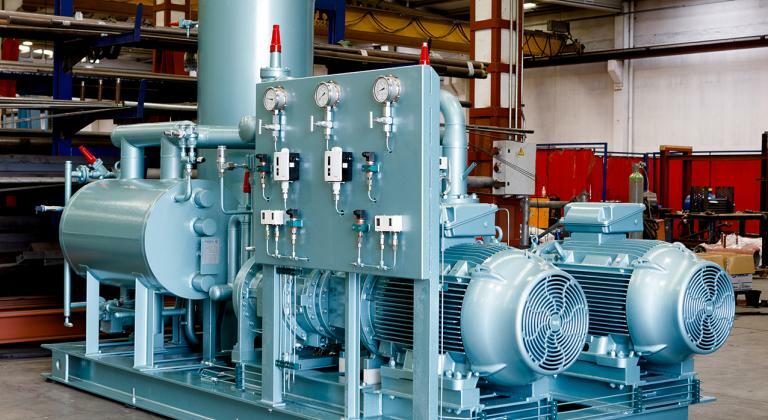 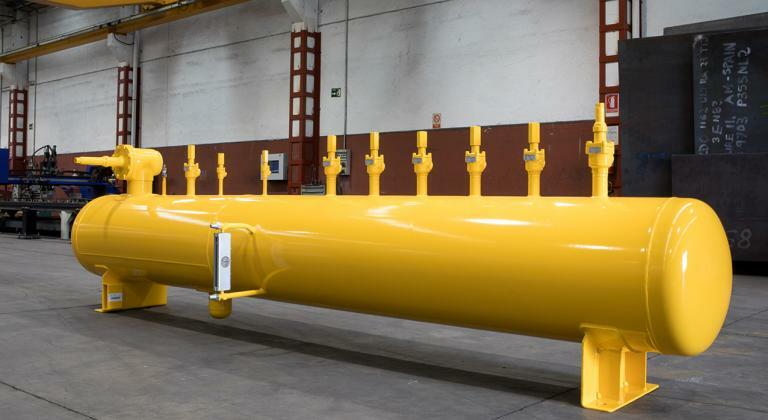 Manufacturing of bedplates for compressors, alignment of engines, assembly of equipments, interconnection of pipes with valves, pumps, plate exchangers, oil separators and compressors for different cooling units.